Netflix, Inc. is an American media-services provider headquartered in Los Gatos, California, founded in 1997 by Reed Hastings and Marc Randolph in Scotts Valley, California. The company’s primary business is its subscription-based streaming OTT service which offers online streaming of a library of films and television programs, including those produced in-house. As of October 2018, Netflix has 137 million total subscribers worldwide, including 58.46 million in the United States. It is available worldwide except in Mainland China, Syria, North Korea, and Crimea. The company also has offices in the Netherlands, Brazil, India, Japan, and South Korea. Netflix’s initial business model included DVD sales and rental by mail, but Hastings jettisoned the sales about a year after the company’s founding to focus on the DVD rental business. 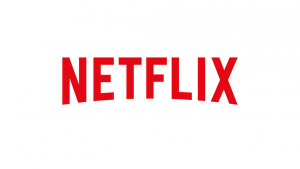 Netflix expanded its business in 2007 with the introduction of streaming media while retaining the DVD and Blu-ray rental service. The company expanded internationally in 2010 with streaming available in Canada, followed by Latin America and the Caribbean. Netflix entered the content-production industry in 2012, debuting its first series Lilyhammer. Netflix has greatly expanded the production and distribution of both film and television series since 2012, and offers a variety of “Netflix Original” content through its online library. By January 2016, Netflix services operated in more than 190 countries. Netflix released an estimated 126 original series and films in 2016, more than any other network or cable channel. Their efforts to produce new content, secure the rights for additional content, and diversity through 190 countries have resulted in the company racking up billions in debt: $21.9 billion as of September 2017, up from $16.8 billion from the previous year. $6.5 billion of this is long-term debt, while the remaining is in long-term obligations. In October 2018, Netflix announced it would raise another $2B in debt to help fund new content.